Photo Courtesy of Ann Thompson. 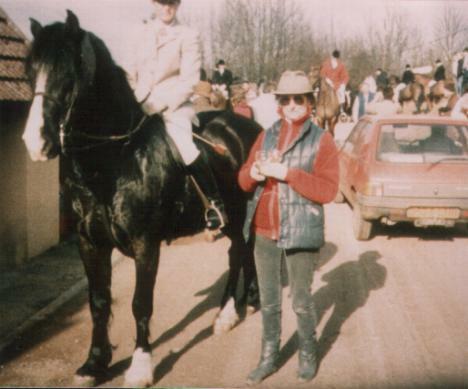 Commander was purchased in 1982 as a yearling, and has run out with mares since he was a two year old. He was ridden at home as a young horse, and hunted a little, but never shown, as we preferred him to run out with his mares. This horse has proved to be a wonderful sire of brood mares, passing on both his conformation and his wonderful temperament. 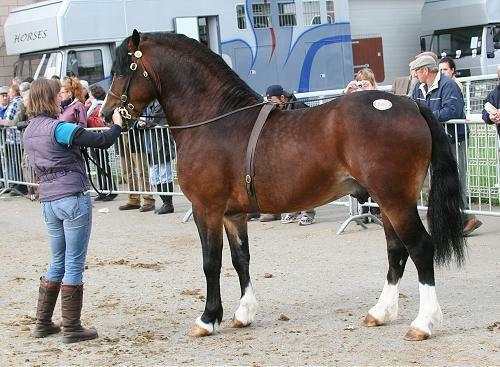 Sold at Builth Wells Oct 2001 to the Stepol Stud. 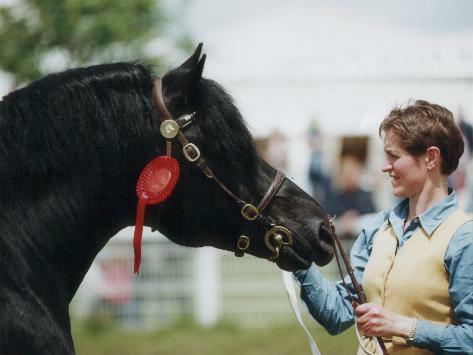 2005 Reserve Female Champion at The Royal Welsh. A major prize winner as a foal and as a youngster. Sold in 1988. 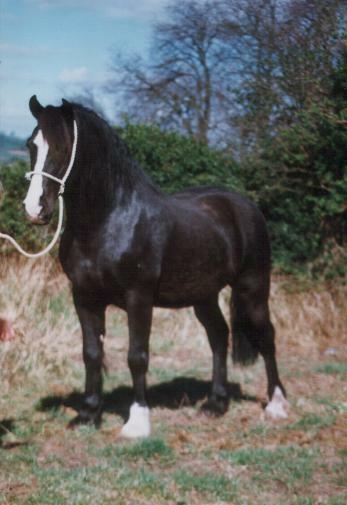 Sold at Builth Wells Oct 1985 to Billy Buck and going on to be a very successful driving stallion. 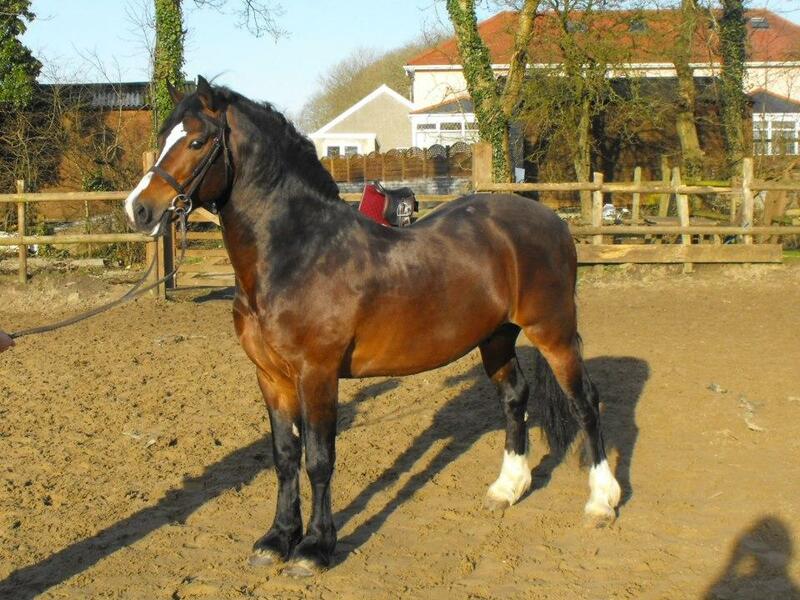 Sold in 2004 to Klaus Lindberg (Denmark) to join Rotherdale Nerys and to help establish his new Welsh Cob Stud. Kara was shown here a few times before being sold. 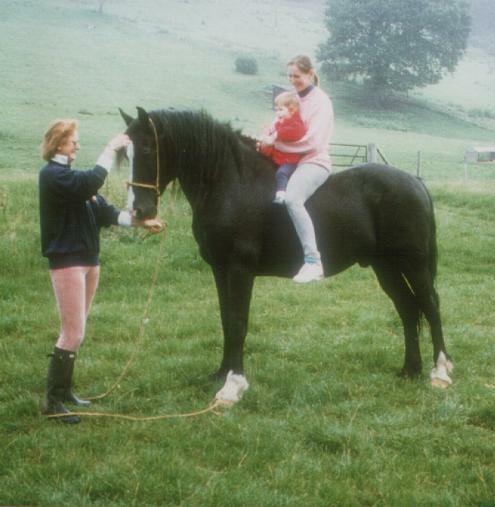 She was 1st at Lampeter and 2nd at The Royal Welsh as a three year old and won the Brood Mare Class at The Three Counties Show in 2000 (where her foal Rotherdale Taran also won his class). 2006 - 1st Three Counties, 3rd Glanusk, 4th Lampeter, (only times shown). She is our last filly by Commander. Commander has also proved himself as a sire of large part breds, all of them going on to be brilliant jumpers, hunters and eventers. A full sister to R. Dewi Comet. 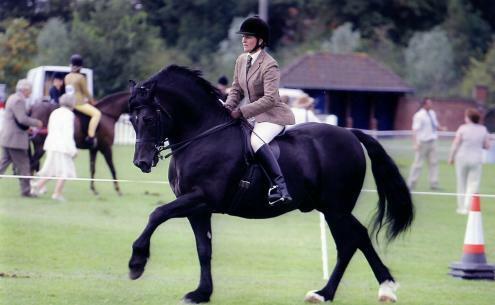 A major prize winner in the UK before leaving for Denmark in 1987, where she became National Danish Champion in Junior and Senior classes. A full sister to R. Imperial Maid. Another major prize winner here before departing as a yearling in 1989 to Denmark. She has also been Danish National Champion. 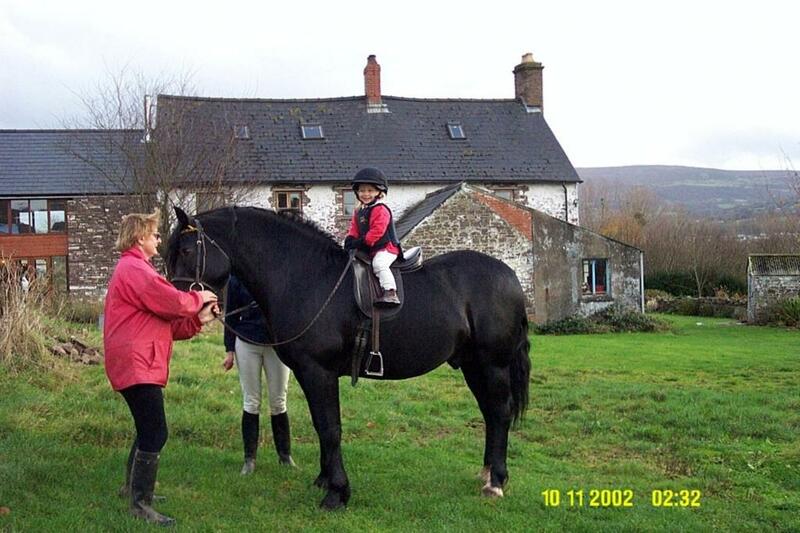 Rhodri’s dam is a daughter of the famous Tydfil Magic Princess. He was shown regularly as a youngster, winning many times. He was Reserve Youngstock Champion at the Royal Welsh Show in 1999, and Reserve Male Champion at the Royal of England in the Same Year. 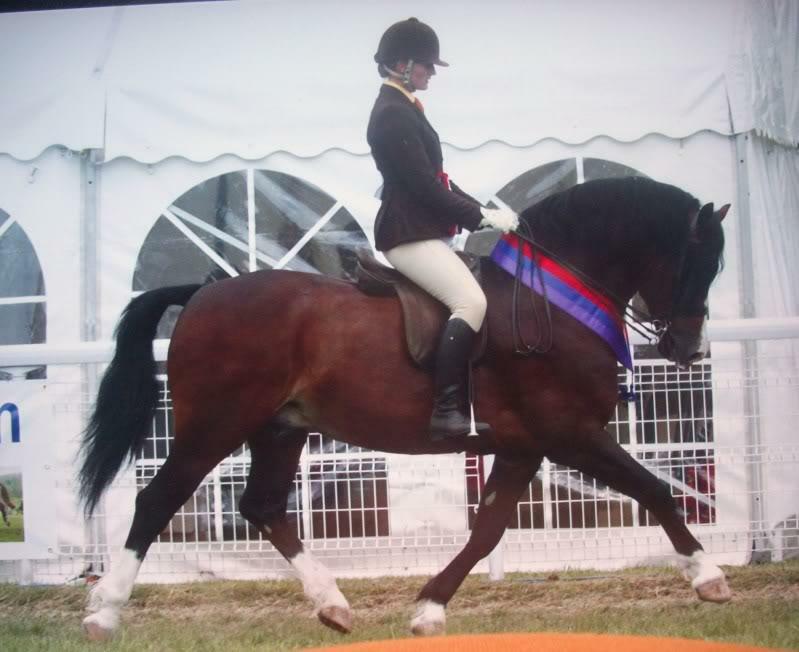 Due to the Foot and Mouth Outbreak in 2001 we were unable to show him as a 3 year old, so instead brought him out as a 4 year old, where he did very well gaining many championships. Rhodri stood on lease with Klaus Lindberg in Denmark for the 2006/2007 stud seasons. He is now broken to ride, successfully being shown under saddle as well. Royal of England - Reserve Male Ch. Royal Welsh Show - Reserve Youngstock Ch. Northleach - Reserve Youngstock Ch. Forest of Dean - Reserve Supreme Ch. On lease to Klaus Lindberg in Denmark. Sold at Builth Oct 2009, to Mary and Aimee Hoare. by Derwen Black Magic. 6005. Licensed and turned out in 2007, with Rotherdale Dulais and Rotherdale Imperial Maid, whose first foals turned out to be very promising. Congratulations to the Hoare family who bought him in 2009, and have had a lot of success with him, winning many championships in top classes. Sold at Brecon 2010, and broken by Debbie Baker. Photo Courtesy of Abbie Macmillan. Son of the famous Tydfil Magic Princess, Viscount is unshown to date, but provided us with some very promising offspring.